Western Values Project, a Montana-based nonprofit advocating for public lands in the Rocky Mountain states, has contracts to spend about $123,000 in the Albuquerque market. That’s based on filings with the Federal Communications Commission by KOB-TV last week. 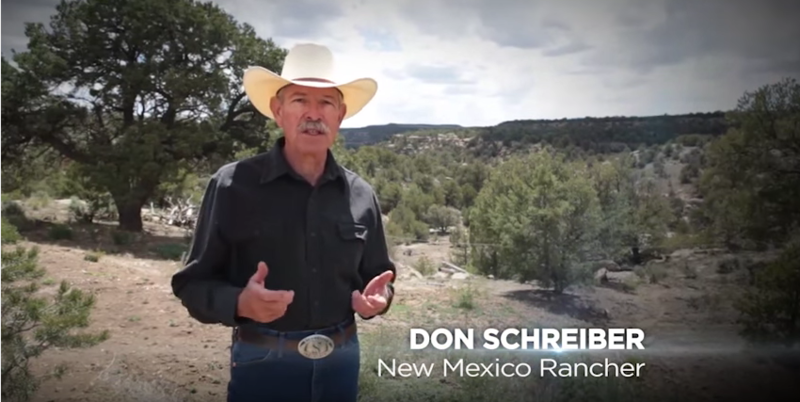 The ad features New Mexico rancher Don Schreiber talking about the money lost when oil companies vent or flare natural gas. Earlier this year, the BLM said that the federal government, tribal governments and states lose $23 million a year in royalties because of venting or flaring to dispose of excess natural gas. Schreiber, who owns a ranch in Rio Arriba County, frequently speaks out on oil and gas issues. The U.S. Bureau of Land Management is taking comments on its proposal through April 22. Western Values Project Director Chris Saeger said he hopes the ads encourage New Mexicans to support the BLM rule. Venting, flaring and leaks from natural gas wells are creating a methane cloud over the Four Corners region that is visible from space. Hundreds of people turned out for a February hearing on the rule in Farmington. Some supported the effort to limit reduce emissions. Others said the cost would further damage the oil and gas industry, which is a primary industry in New Mexico. Over the past several months, Laura Paskus has examined the impacts of warming on wildlife and water and analyzed whether the governor’s energy plan tackles the right issues or not. She’s also reported how the state Legislature cut funding for scientists studying drought and economic vulnerabilities. Did I mention she’s also creating a New Mexico climate map? Let’s keep it going.